I noticed a hotel commercial on television tells customers, “We’ll leave the light on for you.” It’s stated as an assurance to the guests they don’t have to come to a dark, dingy, grimy place to stay. Have you ever been in darkness? Perhaps it was a dark place, a dark moment, or a dark hour and you just couldn’t find your way to light? I have been there and I have to admit being in the dark too long has some negative side effects. When I’m in the dark too long, I lose strength, I become afraid, my situation seems larger than life and I can’t use good judgement or clearly focus. It becomes difficult to trust God and worship Him during the dark moments when we can’t see clearly and are not able to find light in our circumstances. I love reading through Psalm 18 where David speaks of how the Lord delivered him from the hand of all his enemies and from the hand of Saul. David, the psalmist had some dark moments in his life but he went from darkness to light through prayer and praise. He acknowledged God as his Rock, his strength, his shield. He cried out to God who heard him. God knew the sound of David’s voice and recognized him. By verse 28, David is full of confidence, he’s gained strength, he’s sees clearly and his feet are not slipping. 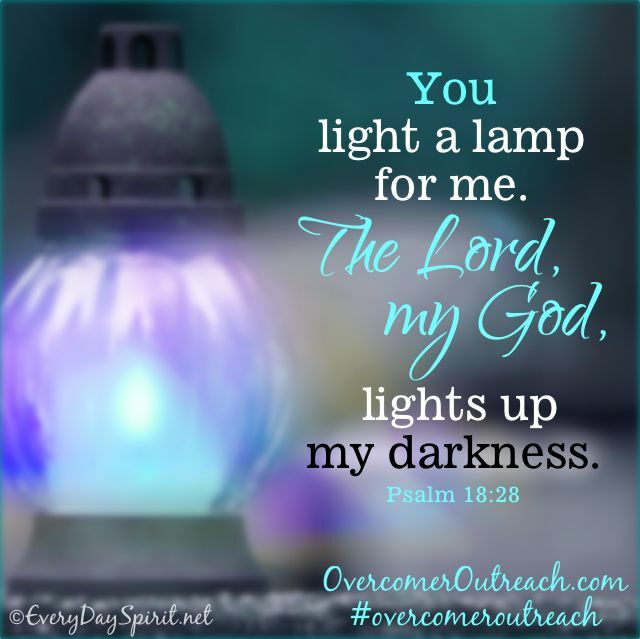 David has gone from darkness to light and by the end of the chapter he is exalting God. Does God know the sound of your voice in darkness? When you’re in the dark and it seems like you can’t find your way, cry out to God and watch Him turn your darkness to light. God gives us assurance in His word that He will light our lamp and lighten our darkness. We don’t have to stay in a dark place.